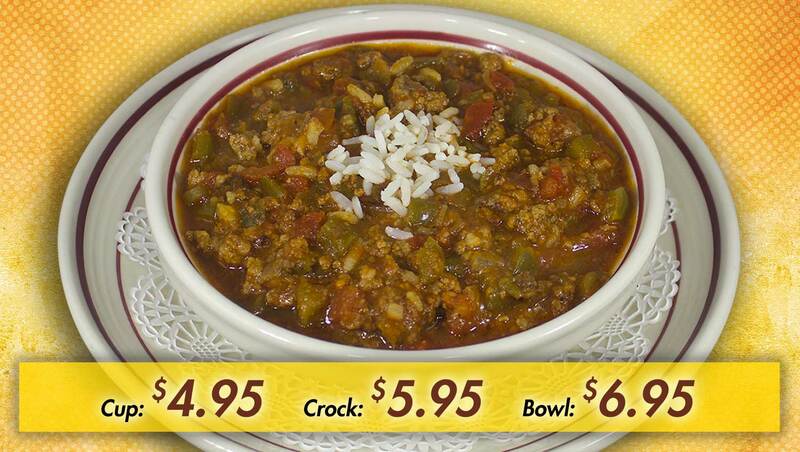 A hearty meal with ground beef, rice, green bell peppers, tomatoes and onions. 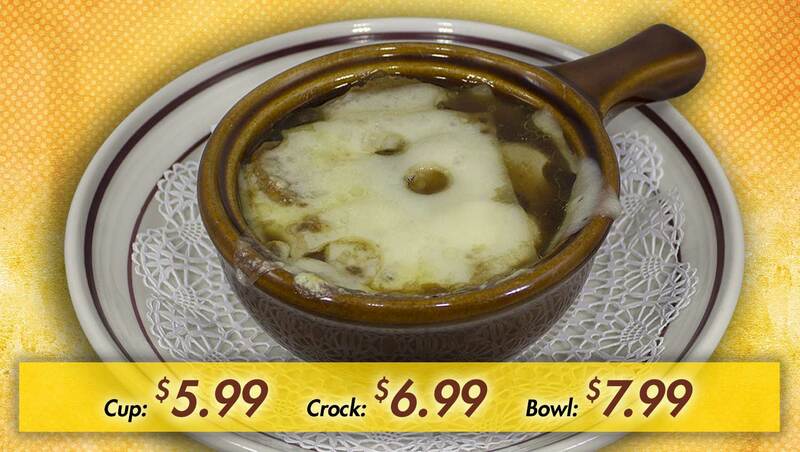 With croutons and topped with melted Swiss cheese. 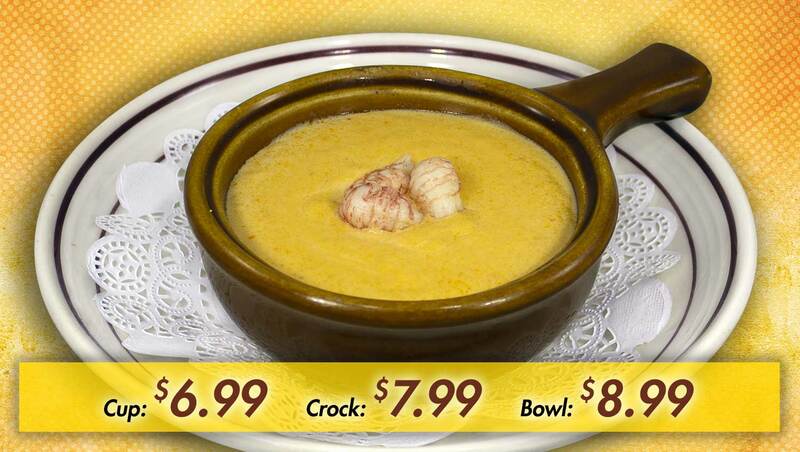 A seafood lover’s delight, this traditional New England bisque is rich… a perfect blend of seasonings and Maine lobster. Grilled chicken tenderloins, stir-fry veggies, white rice in a seasoned chicken broth. 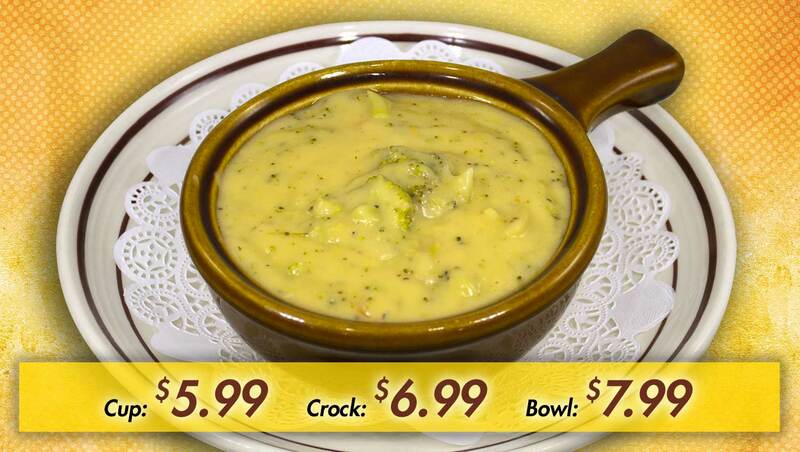 Thick, rich, tasty blend of cheese and broccoli… warmly satisfying. This is a knockout old fashioned, comfort soup. 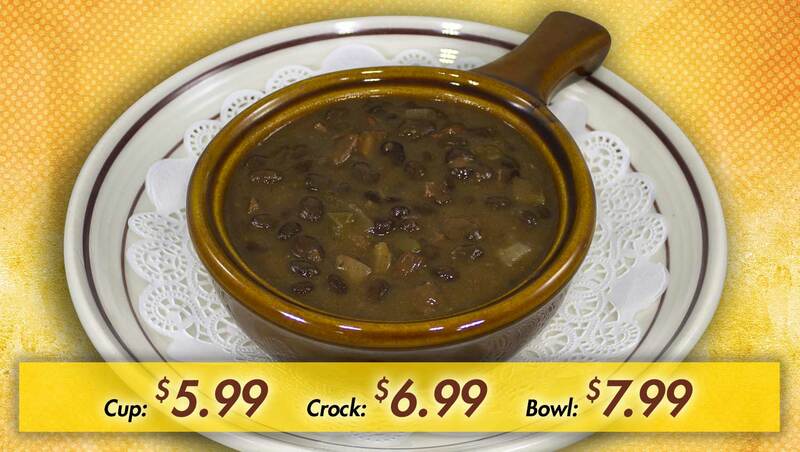 Made with Cuban black beans, a special blend of spices & Vienna sweet sausage. 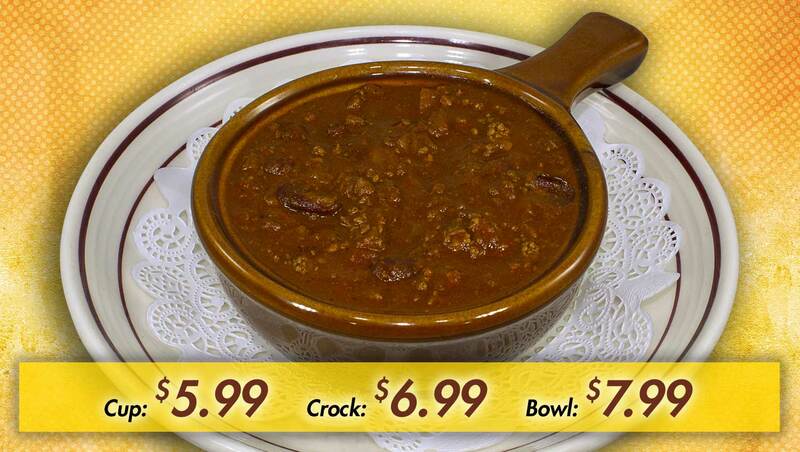 A rich beef chili that you can top with cheese, sour cream or onions. 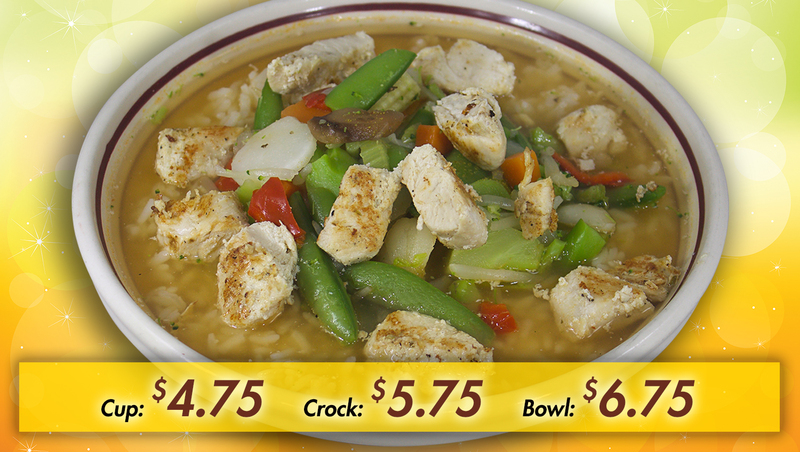 Chunks of grilled chicken tenders and navy beans in a mildly spiced broth. 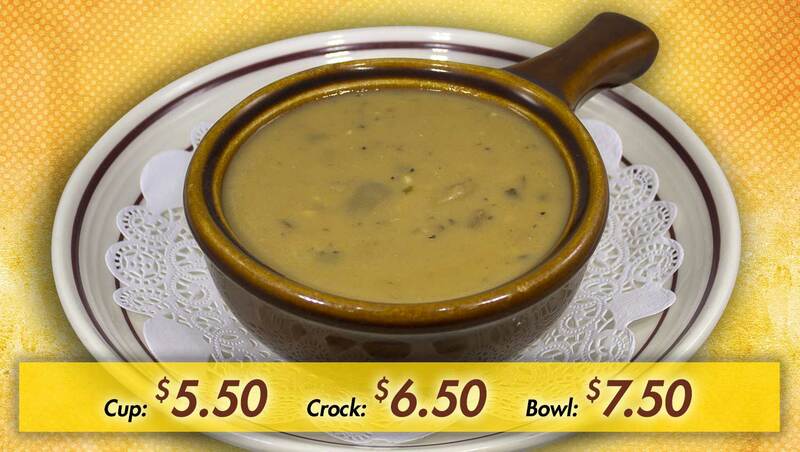 A rich creamy soup made with plenty of mushrooms, Brie, Swiss cheeses, shallots and a touch of sherry. Puréed tomatoes, sweet cream & basil combine to make this flavorful soup. 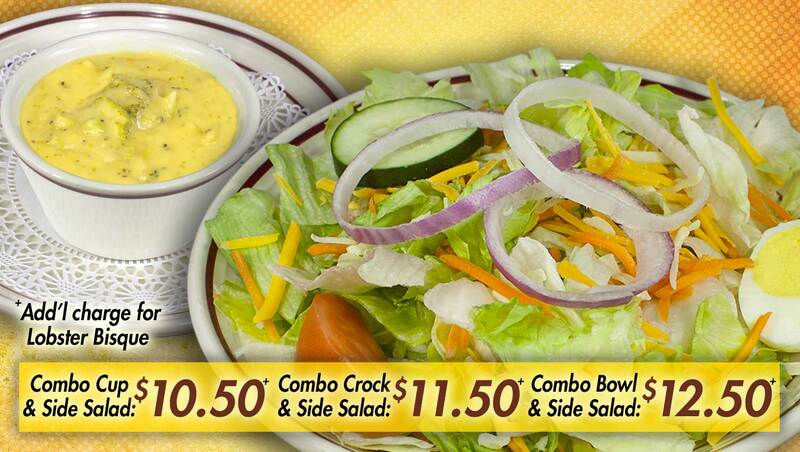 A Cup of your favorite soup AND a generous Rockne’s side salad & warm grilled pita. 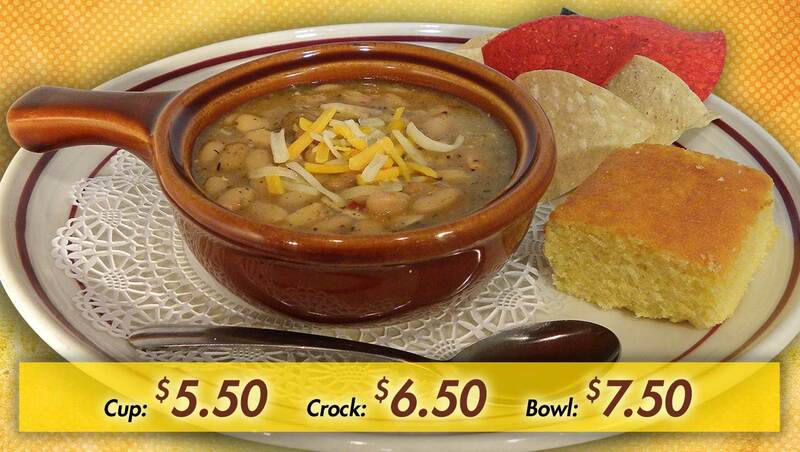 All soups include ONE of the following: warm pita, corn chips or cornbread. 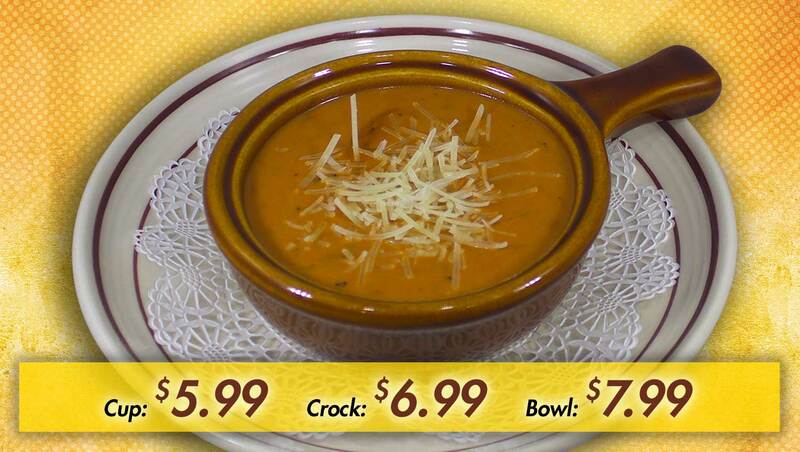 Top your soup with ONE of the following: cheese, rice, onions. 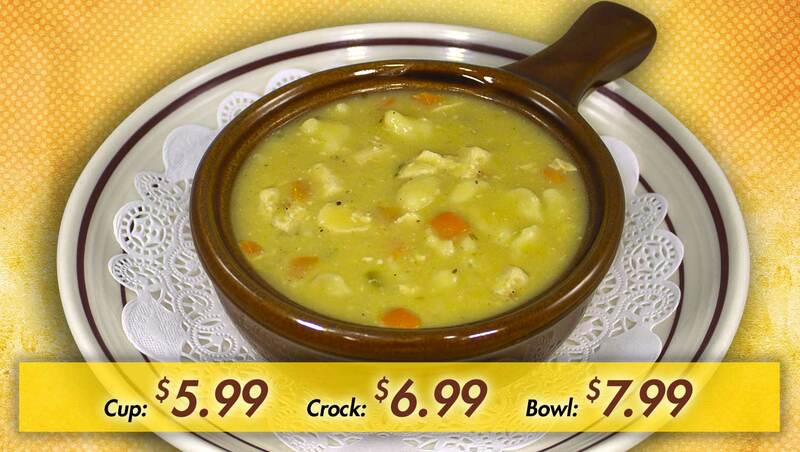 Grab a cup, crock or bowlful today.